Hello, I’m Raj! 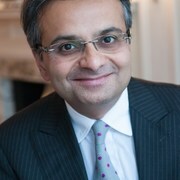 Consultant Plastic & Aesthetic Surgeon based in Harley Street, London. Raj Ragoowansi graduated in Medicine and Surgery from St Thomas’ Hospital Medical School, London with the final year elective spent at Harvard Medical School, Boston, USA. He was awarded the Smith & Nephew Surgical Prize for a dissertation on ‘Evolution of Sutures in Surgery’. After completion of training in General Surgery and the Fellowship of the Royal College Of Surgeons of England (FRCS), higher training in Plastic and Reconstructive Surgery was undertaken in London, East Grinstead and Chelmsford. This involved specialist exposure in reconstructive surgery of the breast, face, hands and trunk. International fellowships in Hand and Wrist surgery were undertaken in USA, France and India. Formal Aesthetic Surgery training was acquired at the Royal College of Surgeons approved institutions; Wellington Hospital and King Edward VII Hospital, London. Just upload three standard pictures today to see a 3D simulation during your next appointment with Raj Ragoowansi. Before the consultation, you can visualize your current 3D body or face and, after the consultation, get access to see your new look from home so you can share with friends and make a better-informed decision. After the consultation, Raj Ragoowansi may let you access your "new you" from home with your own Crisalix account. This will allow you to share it with your family and friends or anyone you would like to get their advice.